The weather tends to bring everyone down and these days there’s no telling when we will see the sun again. 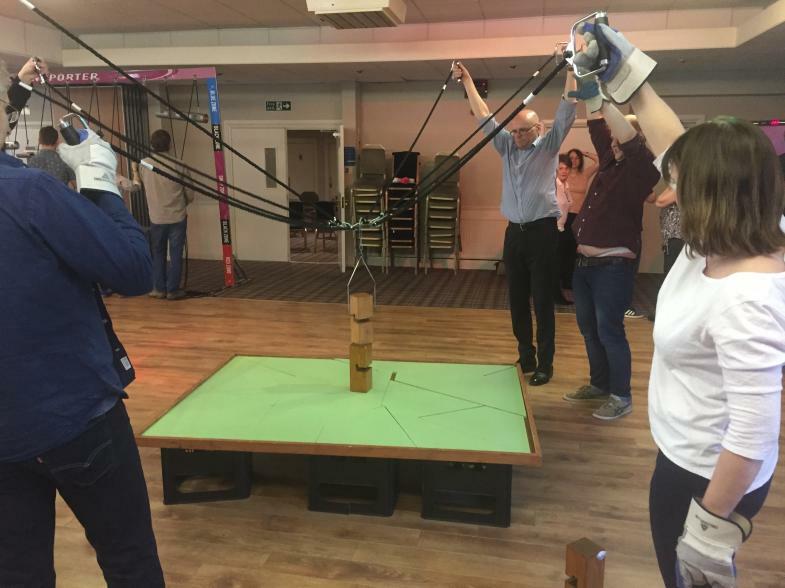 Team building in the UK can help build communication skills, assist in project planning and motivate your office. Team building should be on the cards this year; don’t let the miserable weather stop you. Get your mind off the weather and on to the work needing to be done. Employees might find it hard to focus on the task at hand and it can take more than an inspirational chat to get them in the right mood for work. There are plenty of indoor events to help you avoid being stuck out in the cold whilst ensuring that your team grows with confidence and efficiency. Whether it’s cold and raining or even snowing outside, don’t cancel your plans for team building. It’s easy to imagine team building as sitting in a circle wearing name tags and getting to know one another by sharing awkward information, but that’s not what we do. Build confidence and trust with various indoor and evening events that everyone can take part in. Here are just a few events that will get the whole team involved this New Year. Improve negotiation skills and unite the team with the domino effect. Points will be awarded to the team with the most elaborate domino display and also to the one that finishes the fastest in the domino rally. This will inspire your team to communicate more effectively with one another and concentrate on the job at hand. If you’d rather get all hands on, construct a real-life wooden motorcycle with your team. Work together to complete a series of tasks designed to assist skills in project planning and to motivate you to reach the goal of constructing your motorcycle. The big quiz offers your employees the chance to work together to gather enough points to win and take home the Team Challenge Company trophy. The losing team will leave with the wooden spoon, but will still feel a sense of accomplishment. An evening out of the office could help everyone relax and it’s better to get re-acquainted in a neutral environment, laughing and enjoying yourselves. Why not test your knowledge on the ultimate game show? Using a range of elements from different TV game shows, everyone at the event will get in the competitive mood in a positive, friendly environment. These are just a few of the events that Team Challenge offer - for more information, please contact us.